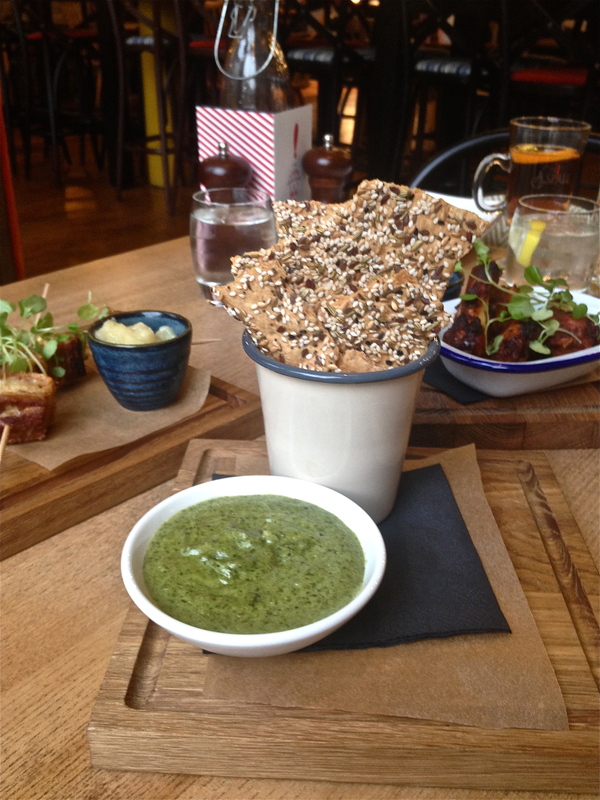 Spinach and artichoke dip with crisp bread (£4.50) was equally as delicious. The dip was surprisingly served hot. It was thick, creamy and flavoursome and paired well with the crunchy sesame crisp bread. It was so tasty we caught ourselves wanting to scrape every last bit from the bottom of the dipping bowl! 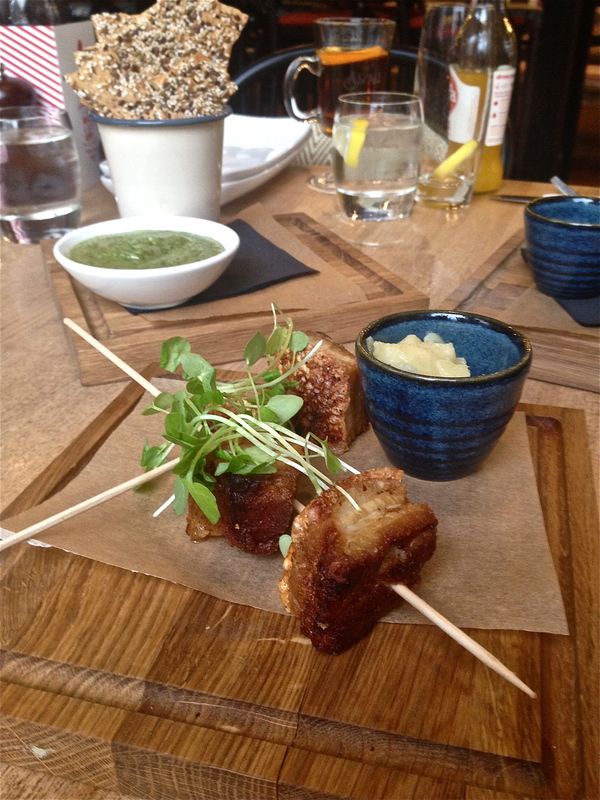 Pork belly lollipops with apple sauce (£4.50) were our least favourite and fell down on its execution. The pork belly was under seasoned, chewy and lacked the crispy crackling that I was expecting. 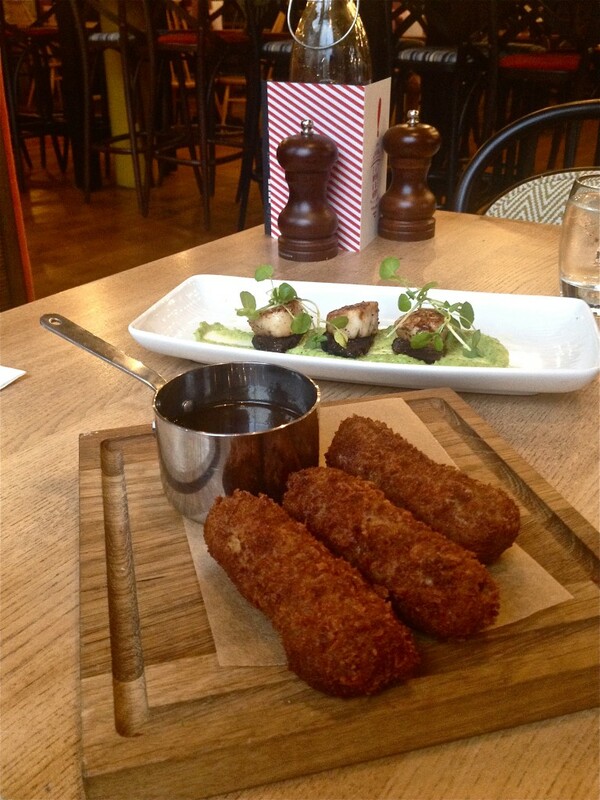 The beef cheek croquettes with London stout gravy (£6.50) from the small plates menu were very flavoursome. The croquettes were filled with a mixture of beef cheeks and vegetables and were coated with a beautiful crunchy crumb coating. These were really good soaked in the rich and tasty London stout gravy. Yum! 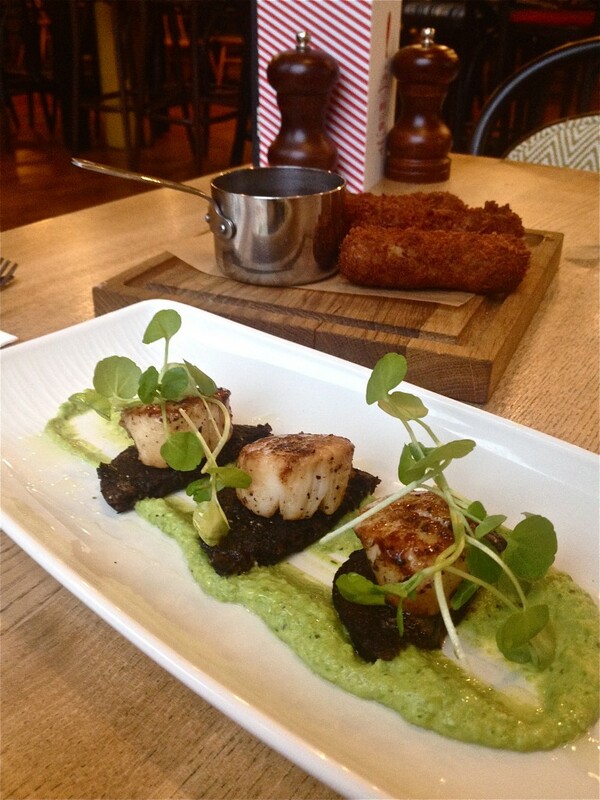 Pan fried scallops with black pudding and pea puree (£9.50) was tasty but simple. The scallops were plump, tasty and cooked just right. The blood pudding lifted the scallops but the pea puree was slightly undercooked and quite cold to taste. From the mains, the twice-cooked pork belly with seasonal greens, black pudding and Kentish apple sauce (£13.50) was perfectly executed. Underneath the delicious crackling was some gorgeously fatty and tender meat which was delicious. As for the crackling, it delivered on that emphatic and resounding crack all the way into my jaw line. It was wonderful to taste and perfectly seasoned. Equally, the sides of cabbage and mash paired very nicely with the gravy and apple sauce. 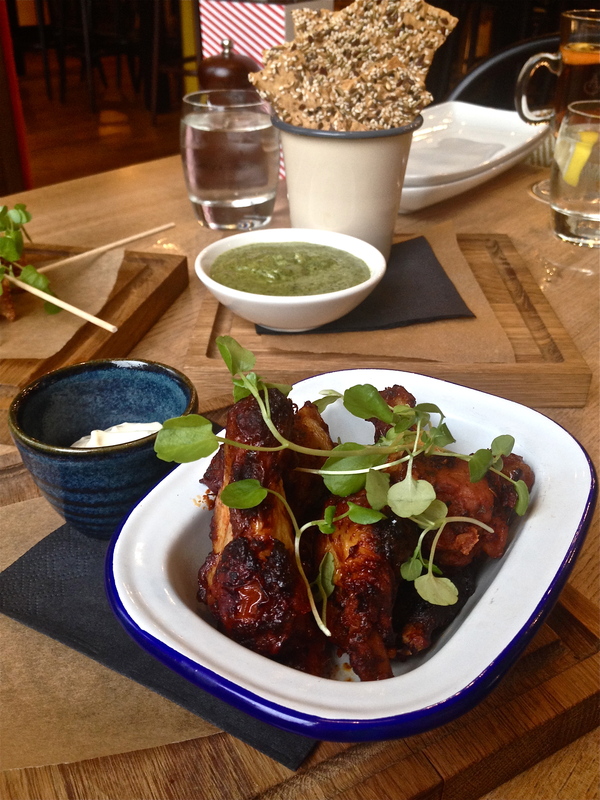 This dish could not be faulted and was incredible value at £13.50. The Porchester burger (£13.00) was a multi-dimensional burger consisting of a British beef patty topped with a peanut butter fritter (yes this was deep fried!! 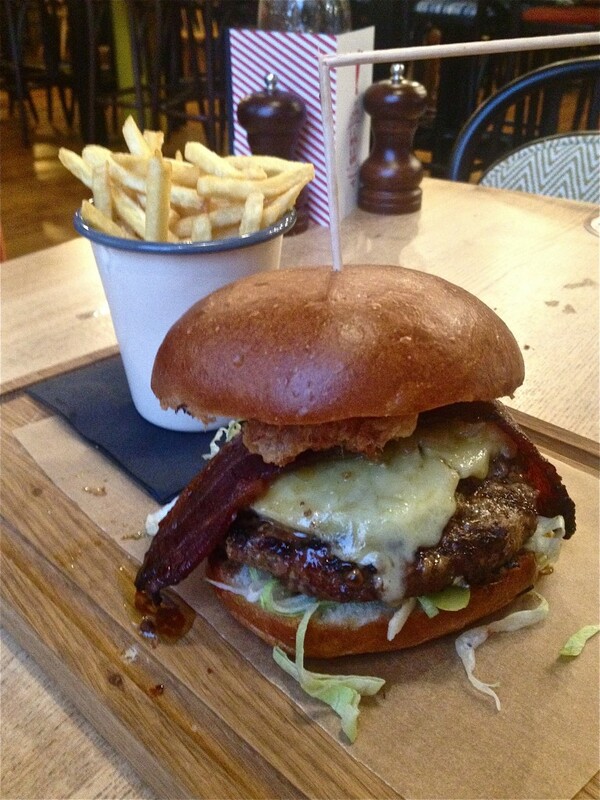 ), American cheese, ale onions, beer-candied bacon and pickles served with a side of skinny fries. Moving onto desserts, and the sticky toffee pudding with salted caramel ice cream (£6.00) was fabulous. 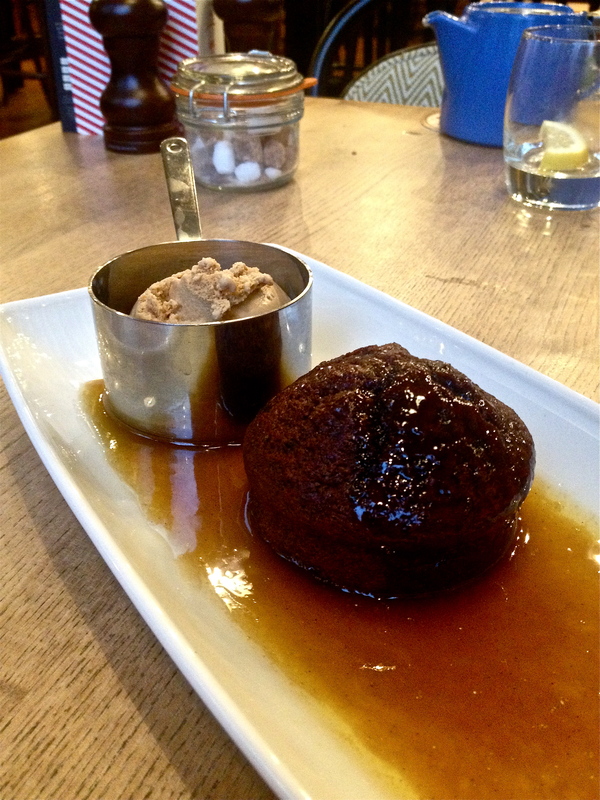 The pudding was deliciously moist, especially with the combination of toffee sauce and salted caramel ice cream. This will warm you from the belly up, just perfect for the coming winter months. 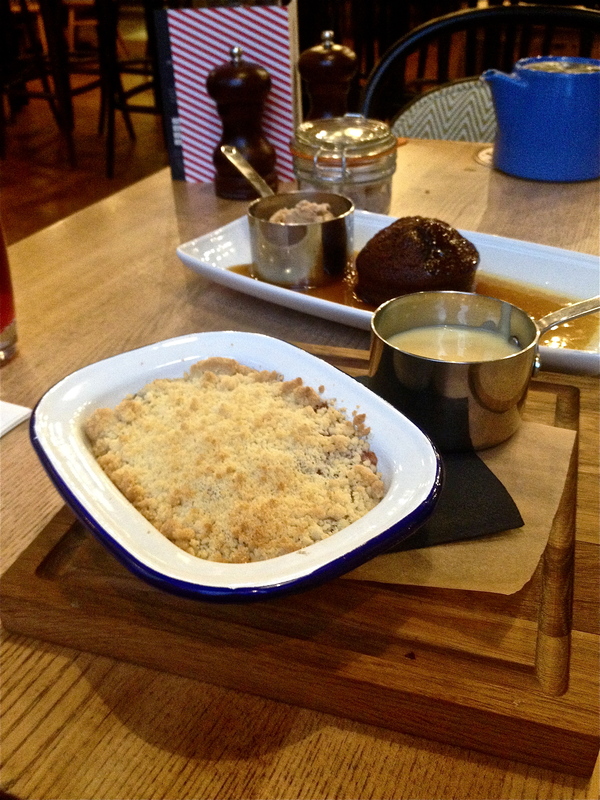 The apple and blackberry crumble (£6.00) with vanilla custard was equally as delicious and comforting. However, I would have liked to have seen more blackberries throughout the dish. Overall, The Porchester experience was a really enjoyable one. The British menu was tasty, modern and creative, and the service was friendly, attentive and inviting. 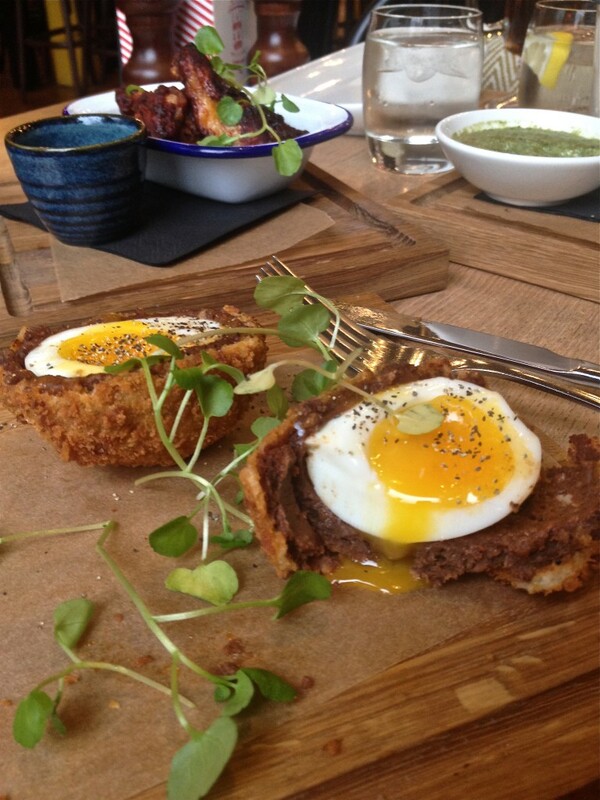 If you are after a really good gastropub serving British cooking with a modern twist at extremely reasonable prices, then I would highly recommend The Porchester. 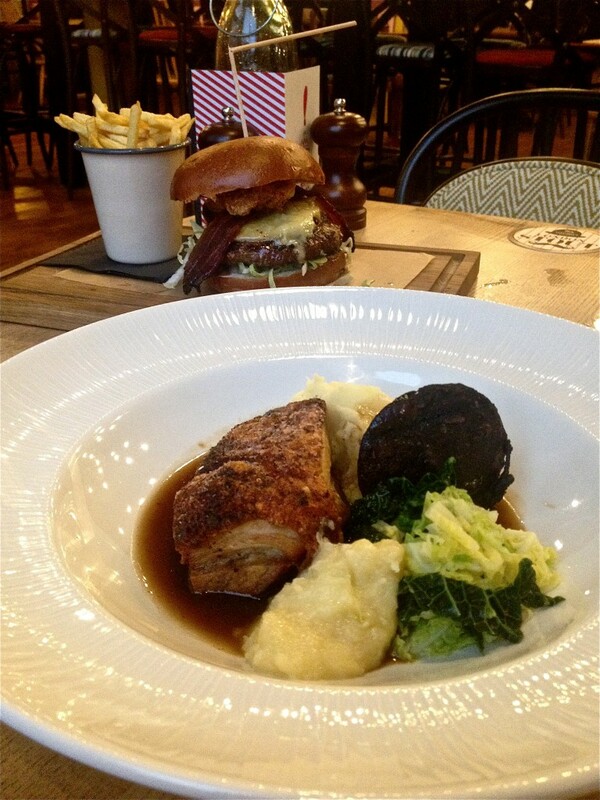 £20-£30 entrée and main excluding drinks and service.